Marlborough- Debra A. 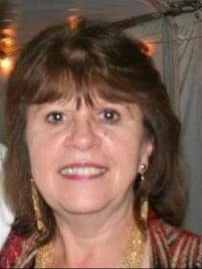 (Ney) Beauregard, 63, of Marlborough died at home on Friday January 25, 2019 while surrounded by her family. She was the wife of Edward J. Beauregard for the past 36 years. She was born, raised and educated in Marlborough, the daughter of Shirley A. (Brown) Ney and the late Russell H. Ney. Deb was a graduate of Marlborough High School Class of 1973. She was a buyer for Space Age Electronics for the past 24 years. She previously worked for Frye Boot for 13 years as an administrative assistant. She enjoyed travelling, shopping and cats, taking in and caring for numerous strays over the years. She was a member of the First Church in Marlborough Congregational where she was a Deacon and taught Sunday school. She will be remembered for her smile, infectious laugh, kindness towards others and the beautiful bond she shared with her mother. Deb was predeceased by her daughter Ashley who died in 1994. She leaves her mother Shirley (Brown) Ney of Marlborough; two brothers, Russell H. Ney, Jr. and his wife Kathy of Marlborough and Ronald J. Ney and his wife Lori also of Marlborough; three uncles, Jimmy, Ronald and Floyd and three aunts, Dottie of Alabama, Dorothy of Pennsylvania and Marie; seven nephews and nieces, Jaymie, Kelly, Meghan, Mark, Jay, Paul and Nicole; four great nephews and nieces, Devin, Tre, Kaylee and Abeline; many cousins.